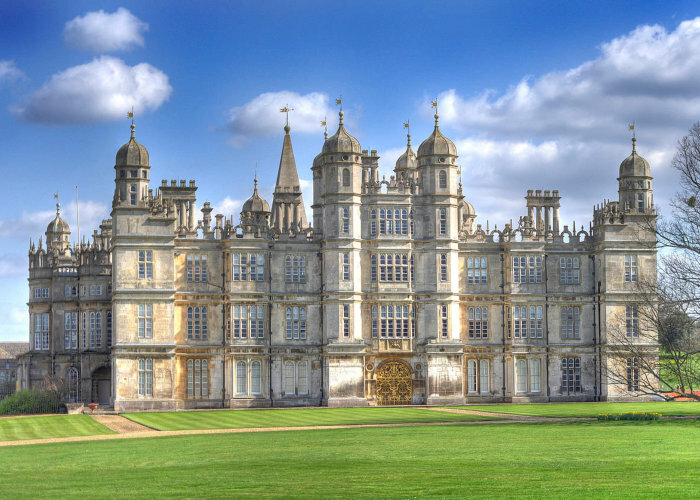 Description: Burghley House is one of the largest and grandest country in England and can be found near Stamford just 10 minutes from the Park. 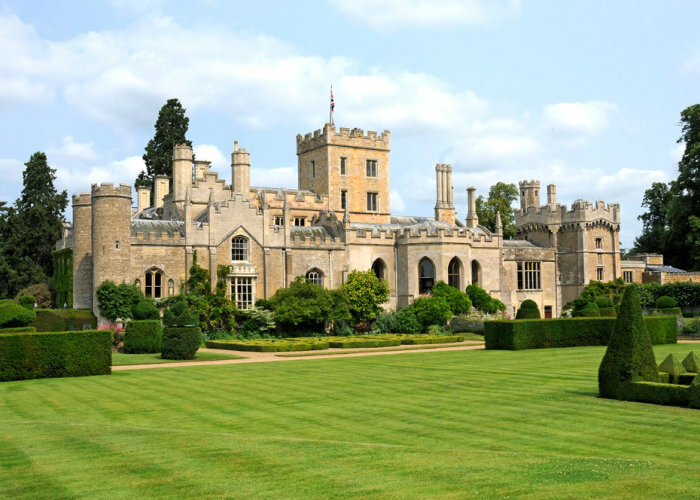 It is a leading example of the Elizabethan prodigy house, built by and still lived in by the Cecil family. Its gardens and park was laid out by Capability Brown which can be visited independently of the house. For the kids they have a Garden of Surprises, a Mirror Maze and Jet Spray area as well as lots of fun events. 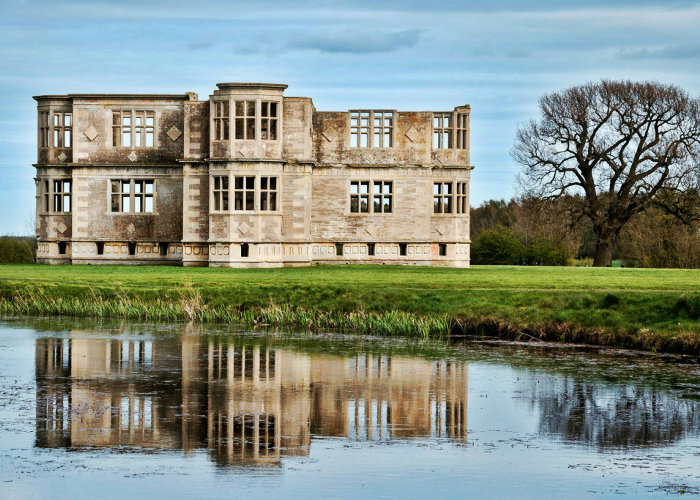 Description: Description: Lyveden New Bield is an unfinished Elizabethan lodge constructed by Sir Thomas Tresham in the early 17th century. Owned by the National Trust it is a Grade I listed building and can be visited along with the restored gardens which are an intriguing mix of paths, moats, orchards, terraces, mounts built to a spiral design. 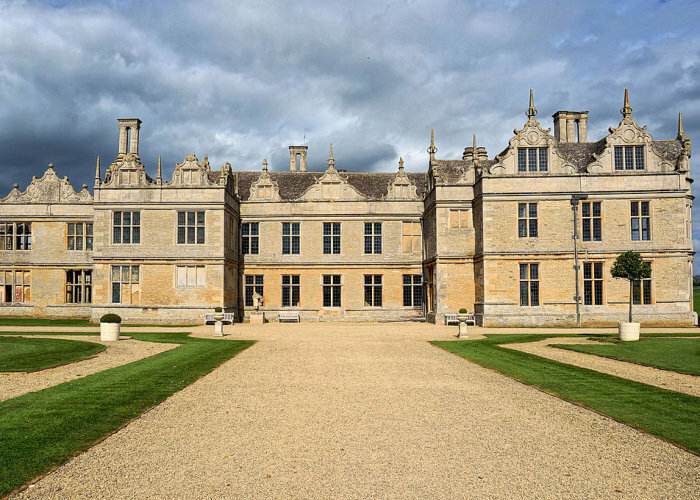 Description: Description: One of the great Elizabethan houses, Kirby Hall was built in 1570 by teh then Lord Chancellor to Queen Elizabeth I. 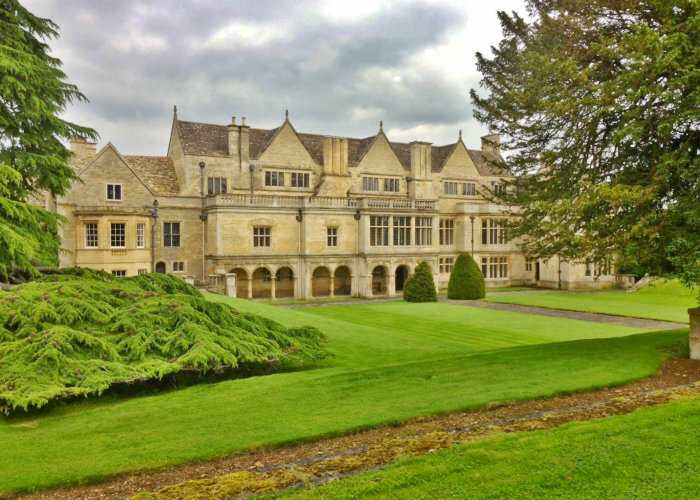 It was subsequently rebuild in grand Jacobean style, creating a superb symmetrical house set in stylish formal gardens described then as ‘the finest in England’. Although the mansion is now partly roofless it is all the same very impressive and is open for visits all year round through English Heritage. 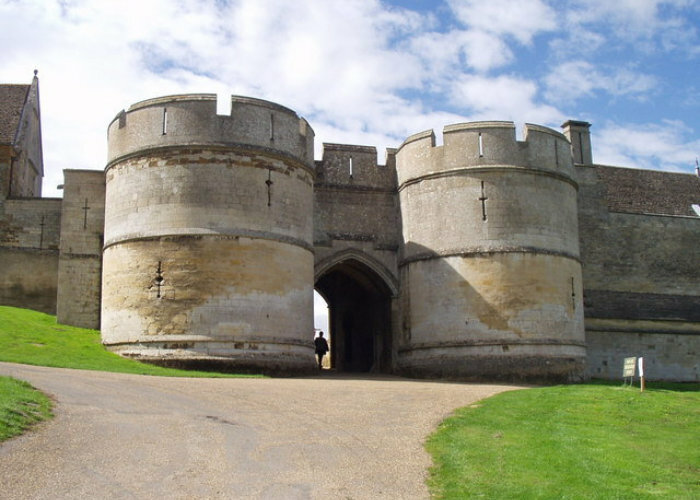 Description: This historic Rockingham Castle built by William the Conqueror stands in a glorious position overlooking the Welland Valley, giving views over 5 counties. The Castle architecture has examples from every period of its 950 year history and there are 18 acres of gardens that follow the foot print of the medieval ramparts. Open April to September, Castle and garden tours are available as well as children’s activities, plus look out for special events such as jousting tournaments. 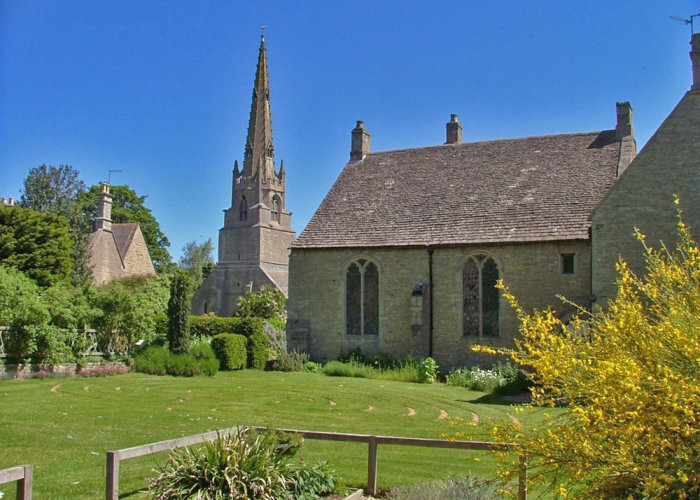 Description: Mention Fotheringhay and most people will automatically think of Mary Queen of Scots, Royal Connections, the Duke of York and Elizabeth 1st, so steeped in history is this picturesque Northamptonshire village. 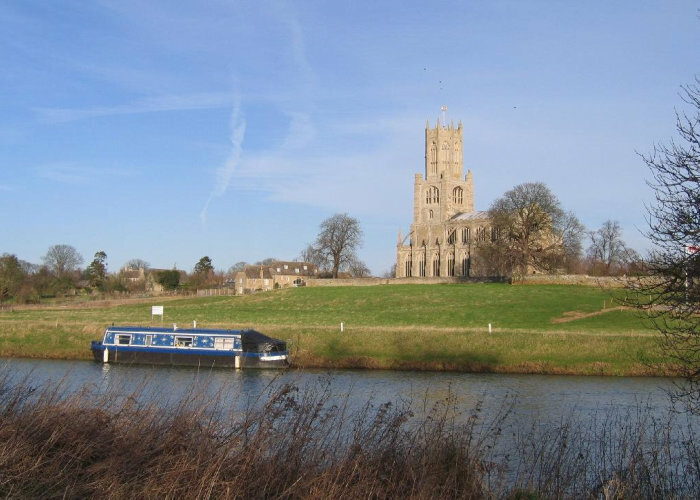 As well as viewing the remains of Fotheringhay Castle you might visit the magnificent 15th century church, St. Mary and All Saints.